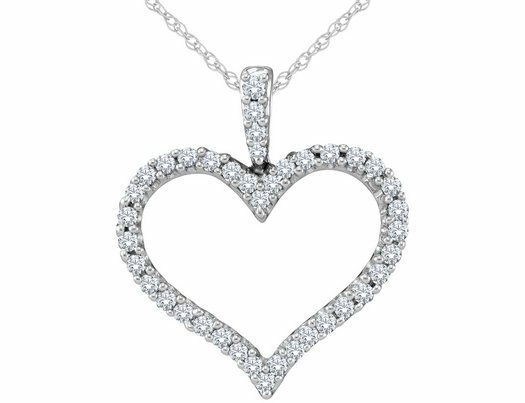 A simple heart shaped pendant embellished with 40 extraordinary white diamonds claw set in 14 karat polished white gold. The clasp of this 1/2 carat (ctw) pendant is also adorned with round brilliant cut white diamonds, bringing the total of stones to 40. Includes an 18-inch white gold chain with a spring ring clasp.